The Food Bank of Iowa has set a fundraising goal to supply 300,000 meals to needy Iowans. Despite Iowa’s low unemployment rate and positive economic news, Akright notes one in nine Iowans – including one in six kids – struggle with food insecurity. 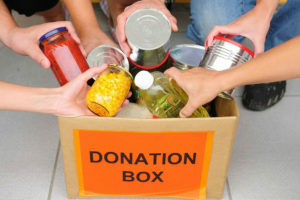 “We distribute a million pounds of food every month and that’s only meeting about half of the need. So, we’re working our hardest to double that and get up to 2 million pounds every month,” Akright said. The Food Bank of Iowa serves 55 of the state’s 99 counties and within that service area it’s estimated 175,000 Iowans are food insecure – meaning they lack reliable access to a sufficient quantity of affordable, nutritious food.